In industrial applications, they are used to help shape, finish, polish, buff or deburr metal, plastic or wooden parts. 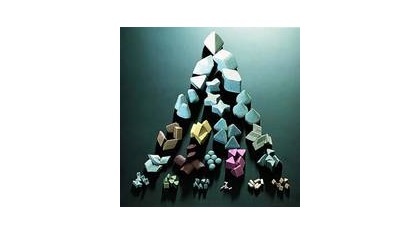 Tumbling media manufacturers make abrasive particles in a variety of shapes such as spheres, cylinders, pyramids, ovals and more, each for a different purpose of cutting, deburring, shaping, smoothing or polishing. Types of materials used to make abrasive tumbling media include metals such as aluminum or steel, ceramic particles which have been fired to maintain shape, natural materials such as walnut shells or dried corn cob. The type of material used in a finishing process is determined by the level of finish desired and the material of the parts being finishing. Tumbling, or deburring media can have different amounts of abrasive strength from very hard to softer, almost non-abrasive. Harder media are used with parts requiring deburring and excess material removal, whereas softer media are used for polishing and shining. The size of the media particles is another factor to be considered depending on the parts being processed, as well as the ratio of tumbling media to parts. A larger amount of media in the tumblers will result in less part-to-part contact, and may also result in a quicker finishing time. Deburring, finishing and polishing sometimes involve the use of wet tumbling compounds mixed in with solid media. Wet compounds are designed for enhanced deburring, for cleaning, or for rust and corrosion protection. Water is a universal lubricant and so is often used in addition to tumbling media to achieve the desired finish. Tumbling is a relatively cost effective finishing process, especially for mass finishing, as tumbling media can be used multiple times with consistent results. Further advantages include the broad range of options to suit almost any finishing need. Organize dry media are biodegradable, durable and safer to use, and they can often absorb surface oils, resulting in an even cleaner finish. Steel media can be used for heavy deburring or cutting, while ceramic media is suitable for most general purpose polishing. Plastic media shapes, which are much lighter than metal or ceramic shapes, are used on softer materials as they are less likely to damage more sensitive parts and surfaces. Tumbling media is used in industries such as parts manufacturing for automotive, aerospace and electronic industries, retail and consumer, small appliance etc. Tumbling Media Tumbling media are the small abrasive particles of steel, ceramic, plastic or organic materials which are used in vibratory finishing equipment for polishing, cleaning or deburring.